Diwali is a festival of joy, fun and happiness and most families follow the tradition of making special dishes to celebrate this occasion. Given below is a list of some dishes that are prepared in most households as a part of Diwali celebrations. This sweet scrumptious dish is prepared from almonds, rice flours and milk, which are cooked on slow flame to get a thick consistency. This exhaustive dish is loved by one and all and offers a fulfilling treat to complete the fun and excitement of the festival of lights. Diwali celebration is rarely considered complete without savoring the delicate flavor of the sweet and crispy gujiya. This sweet is prepared by filling semicircular pockets made from small balls of dough with various dry fruits or a sweet mixture and self sealing them in a proper manner. These pockets are then deep fried and immersed in sugary syrup for some time before consumption. This scrumptious dish is quite popular in the northern and western regions of India. 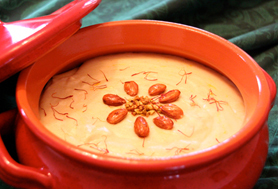 Made from almonds and milk, this delicacy is a hot favorite amongst people, who love dairy products. Doodh Pak is the perfect choice for people who want to try something different that is also quite delicious this Diwali. 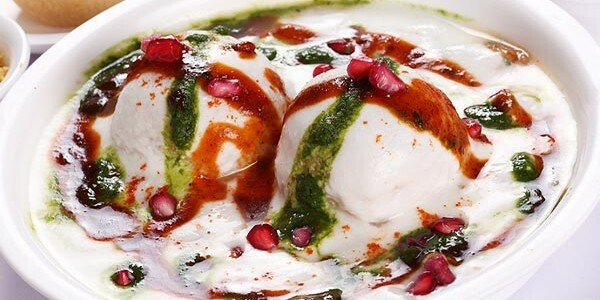 For people, who do not like too much sweet, Dahi Bhalla presents a prefect mouthwatering option for satisfying their taste buds, especially on the occasion of Diwali. This dish consists of soft spongy dumplings made from a mixture of black and yellow grounded lentils, deep fried and immersed in curd and topped with sweet and salty spices and condiments. This is yet another salty dish that is quite popular around Diwali that offers a crunchy and mouthwatering taste. 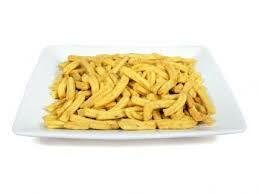 These munchies are shaped like finger chips and are made mostly from refined flour. 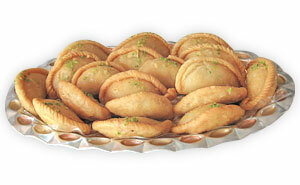 They can be savored on their own or taken with another sweet dish like, gujiya.